Editor's Note: The first of this three part series that examines the roots of Shotokan karate through Gichin Funakoshi's 15 original kata. The first article discusses the controversy over Funakoshi's classification of Shorin and Shorei by body type, as well as his knowledge of kata. The last two articles focus on in-depth discussions of the meaning and origin of Funakoshi core kata. Gichin Funakoshi is probably the best known karate master of the early 20th century and is known by many as the "Father Of Japanese Karate." It was Funakoshi who was first selected to demonstrate his Okinawan art on mainland Japan. In Japan Funakoshi helped build the popularity of his fledgling art and helped it gain acceptance by the all important Japanese organization founded (and sanctioned by the government) to preserve and promote the martial arts and ways in Japan (the Dai Nippon Butokukai). An author of several pioneering books on karate, he was the founder Shotokan karate from which many other styles derived. 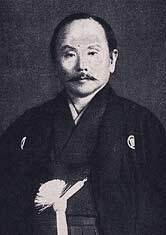 When Funakoshi arrived in Japan in 1922, he originally taught a total of fifteen kata, although it has been speculated that he probably knew many more. The purpose of this article will be to introduce some of the theories on the possible origins of these kata, provide some historical testimony on them, and try and improve the overall understanding of the roots of Shotokan. Funakoshi, following a traditional model of classifying karate by divided it into two separate traditions, Shorei and Shorin. This classification derives from early karate masters which were not associated with their own ryu or martial traditions, but with the towns within which they lived and practiced: Shuri, the capital and political center; Naha, a nearby seaport and trade center, and Tomari a smaller sea port. The early karate practiced in Shuri and to a lesser extent Tomari combined to be known as Shorin-ryu and is associated with the descendants and/or styles of such karate luminaries as Soken Matsumura (Shuri), Kosaku Matsumura (Tomari) and followed by Anko Itosu and Chosin Chibana. The karate of Naha became known as Shorei-ryu and is associated with such karate styles of Goju-ryu and Uechi-Ryu. This specific classification, i.e. dividing Shorin-ryu and Shorei-ryu by the body types of the practitioners, can be traced as far back as 1914, when Funakoshi penned an article on karate for the Ryukyu Shinpo newspaper, based on the lectures of his main teacher Anko Asato, and writing under his pen name Shoto. While it is true that Funakoshi's other main teacher Anko Itosu, had also stated that there were two "styles" of karate, Shorin-ryu and Shorei-ryu, in his 1908 letter addressed to the Ministry of Education and the Ministry of War, he never characterized them as relating to body types. The famous Okinawan Bubishi also mentions Shorinji-ryu and Shoreiji-ryu (see, for example, Mabuni, 1934), but again, does not state the differences between the two. Indeed, other prominent teachers of the day also took exception to Funakoshi's classification. In 1930, Chojun Miyagi was quoted as saying that the breakdown of Shorin-ryu and Shorei-ryu into kata for differing body types, as Funakoshi did, was unfounded (Miki, et al, 1930). Miyagi also went on to say basically the same thing in his 1934 essay Karatedo Gaisetsu (McCarthy, 1999). At the 1936 "meeting of the masters," he said that the only real difference between Shorin-ryu and Shorei-ryu lay in their teaching methods (ibid.). Later, Mabuni Kenwa and his co-author Nakasone Genwa, in their 1938 publication "Kobo Kenpo Karatedo Nyumon," also disagreed with Funakoshi's categorizations. The main thrust of the Mabuni/Nakasone argument is that if this is indeed a valid classification system, then why did Funakoshi change the classifications of certain kata, namely Wanshu (Shorei-ryu to Shorin-ryu), Chinto (Shorei-ryu to Shorin-ryu) and Jitte (Shorei-ryu to Shorin-ryu, than back to Shorei-ryu)? They also argue that following Funakoshi's classification method, Chojun Miyagi's (founder of Goju karate) brainchild Tensho would clearly belong to the Shorei-ryu. However, as Mabuni (founder of Shito-Ryu karate) and Nakasone (a famous Tomari/Matsumura karate-ka) state, Tensho was based on the chapter entitled Rokkishu (showing six open hand positions with some description of their application) in the Bubishi (a once secret text on White Crane and Monk Fist kung fu hand copied and passed among many early Oknawan karate masters), and it is clearly stated within that Rokkishu belongs to the Shorin(ji)ryu (Mabuni et al, 1938). However, his early books indicate that he may have had at least a passing familiarity with several others. In his 1922 "Ryukyu Kenpo Karate," Funakoshi also lists an additional 16 kata (Funakoshi, 1922) including: an additional Passai kata (listing both Dai & Sho) and Kushanku kata (listing both Dai & Sho), Gojushiho, Chinte, Jiin, Wandau, Rohai, Jumu, Wando, Sochin, Niseishi, Sanseiru, Suparinpei, Wankan, Kokan, and Ushu. It is also no less interesting that in his 1925 "Rentan Goshin Karate Jutsu," he lists the same kata, with the addition of Sanchin (Funakoshi, 1925). So, we can see that Funakoshi had at least a passing familiarity with many kata outside of his own curriculum of fifteen. This is only natural as Funakoshi himself tells us that he had received brief instruction from many prominent masters of that era, including Sokon "Bushi" Matsumura, Peichin Kiyuna, Seisho Aragaki and Kanryo Higashionna (Funakoshi, 1956). Some sources even point to the famous Taite (Kojo) Kogusuku as being Funakoshi's first instructor (Fujiwara, 1990; Iwai, 2000). Although he does not quote his source, noted Japanese martial arts historian Ryozo Fujiwara states that Funakoshi first learned Pechurin kata under Taite Kogusuku, Kushanku under Anko Asato and Naifuanchi under Anko Itosu (Fujiwara, 1990). The next two articles in this series will discuss each of these kata in depth, including discussion or their possible origin and meaning.